Il Best Western Crossroads Inn è situato nel centro di De Funiak Springs. L'hotel è vicino alle principali attrazioni turistiche. Approfittate tutto l'anno del miglior prezzo garantito e di offerte esclusive. Soggiorna in questo hotel di DeFuniak Springs, Florida, che consente di raggiungere in tutta semplicità il centro storico di DeFuniak Springs, il parco statale delle Florida Caverns e l'azienda vinicola di Chautauqua. Le siagge sono a soli 35 minuti. Benvenuto al Best Western Crossroads Inn, un hotel contraddistinto da personale cortese, camere convenienti e dotate di tutti i comfort. Questo hotel della Florida centrale permette di accedere facilmente alle molte attrazioni locali, ai negozi e ristoranti di DeFuniak Springs. Gli ospiti che soggiornano in questo hotel di DeFuniak Springs potranno usufruire di camere dotate di televisione via cavo/satellite con HBO® e accesso a Internet ad alta velocità gratuito. Il Best Western Crossroads Inn serve ogni giorno una colazione all'americana gratuita. 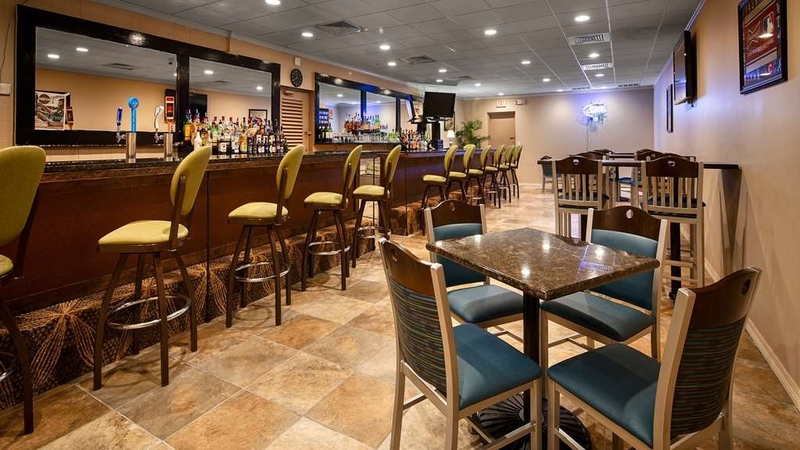 Per rendere ancora più gradevole il soggiorno di chi sosta a DeFuniak Springs, Florida, questo hotel BEST WESTERN dispone di una piscina all'aperto e di una sala cocktail all'interno dell'hotel in cui rilassarsi. Gli ospiti che desiderano organizzare un evento o una riunione a Funiak Springs, apprezzeranno anche l'area meeting dell'hotel che può ospitare fino a 150 persone. Nel Best Western Crossroads Inn sono ammessi gli animali domestici. Best Western Crossroads è vicino a tutto! Gli ospiti potranno trascorrere una piacevole giornata in una delle rinomate spiagge sabbiose della Florida, fare immersioni per osservare fondali mozzafiato, giocare a golf, andare alla scoperta delle Caverne della Florida o visitare la vicina azienda vinicola di Chautauqua. Inoltre, un viaggio a DeFuniak non è completo senza una visita al centro storico di DeFuniak Springs. La vicinanza alle basi dell'aeronautica Eglin, Tyndall e Hurlburt Field rende il Best Western CrossroadsInn la scelta ideale per chi vi si deve recare per lavoro. Il personale ospitale del Best Western Crossroads Inn è pronto ad assicurarti un soggiorno piacevole a DeFuniak Springs, Florida. Risparmia prenotando oggi stesso! Ti auguriamo un soggiorno gradevole! "Pleasant Oasis for Weary Travelers"
Northbound traffic on I-75 was heavy and it was raining hard. Opted for the secondary route to Tallahassee. Original goal was Gulf Shores but this was an hour and a half closer. Booked online seamlessly using the BW app. The hotel is convenient to the expressway. We were greeted as though they were waiting for us. There is a restaurant/lounge in the hotel so we didn't have to go out again, and the food and service were fine. The room was clean and updated. The shower was great, and overall a very pleasant experience. A full hot breakfast in the morning was delicious and saved us another stop. The pool was clean, well kept and inviting. Overall this was a pleasant experience and competitively priced to similar lodging in the area. While this is not a five star resort hotel it is just fine for its purpose, price and location. There is absolutely nothing horrible about this establishment and I would stay here again. "Small town oasis, old Florida charm"
After many days on the road, this older renovated Best Western turned out to be the highlight of our cross-country trip. It is quaint, old Florida with outdoor entrances and an indoor hallway--where do you see that anymore? The room was updated and cozy. The restaurant provided a wonderful menu, and offered carryout. The grilled chicken on a brioche bun was delicious! This was perfect for us after a long day and the fact that we had our dog with us. The hotel is in a park-like setting, which was peaceful and perfect for walking our dog. The made-to-order breakfast included in the room price included farm fresh eggs, stone-ground creamy grits, and homemade biscuits. Yum! Most importantly, there was a HUGE truck parking area, and we had a large Penske truck with a car carrier that we could see from our room. All of these factors are rare indeed, and to have them all at one hotel is just a delight. Claudia: We love that you enjoyed our Southern Hospitality on your cross county trip and we provided you with outstanding service. Thanks for sharing your stay with us. Not at all worth the price. Not what was advertised.. Room average older renovated hotel. Ac rattled . No elevator . We travel with a older family member that relies on a wheelchair. Not what I expected but it was clean. Dear Guest Thank you for sharing your stay with us and we are sorry we failed to meet your expectations and we thank you for your feedback. Your paying $160 for ar 40 room not worth it at all!the so called restaurant in side the service was good but the food was horrible and overpriced as well. Even the parking was tight and over crowded don't stay here! Dear Guest: We are so terribly sorry we failed to meet any of your expectations. Your satisfaction is very important to us and as you can see by most of our comments this is not typical of our property. On behalf of our entire staff we will address your concerns and we thank you for your feedback. "Very reasonable for what you get." We went for a funeral and stayed primarily because of the rating and that it's pet friendly. The exterior of the motel, with tractor/trailer rigs parked near the rooms, and a few people smoking outside almost caused us not to stop, even though it was not-refundable. We are not snobs, but like clean and safe accommodations when we travel. We did stop and looked in the lobby and then the room. The outside look is misleading. The lobby and restaurant were clean and remodeled. The only thing annoying was the very long hall that held the scent of a lot if the old motels in Florida. BUT, the room was clean and had no bad odors. The motel has been there a few years and no amount of remodeling can completely cure that. The staff, from the front desk, breakfast, and bar/grill were excellent. The cleaning staff was equally impressive. Everything in the room, A/C and shower worked well and the bed was clean and comfortable. For the money it is a great buy, the food was as good or better than anyone's and prices reasonable. Breakfast was free and very good. I definitely would stay there again and would recommend it to all but my friends who only want five star everything hotels at three times the price. Thank you for sharing your stay with us and we are so sorry for your loss. We are pleased you found us to be a great location and started your day with a great breakfast. I just stayed two nights for a family emergency and someone mentioned they had recently remodeled. I agree the rooms appeared to be in good shape. Furniture and bedding appeared to be fairly new and everything seemed very clean. Although this facility had exterior doors, it also had interior doors witch made it nice that no one could tell what room I was in from the outside. I only ate breakfast due to the nature of my visit but found the staff to be very helpful and friendly. Understanding where this hotel is located it was no surprise the complimentary breakfast options were geared toward typical meaty breakfast foods. Note - there were two or three options that you selected from that contained several items i.e. bacon, eggs and toast or sausage, grits and waffles (don't quote me on those combos). What they did great is allow me, being a vegetarian, to piece together three options from there preselected choices so I was served grits, eggs, and waffles which made me very happy and was likely a lower cost combo for them. The food was good and I'm sure the waffles were a quick mix, but they were better than particular locations of the next price point of hotel chains. The Holiday Inn (formerly Hampton Inn) had a little more secure entry for those with a lot of paranoia. Next time I'm there for these type issues I'll definitely try to stay with them. Stayed one night room really good size and clean. Eat dinner in the restaurant very good fish tacos and good quality. Park right outside room which is good and made good use of the laundry room overall good stay for one night. We are elated you enjoyed your stay and found your room to be clean and comfortable. Glad you enjoyed your fish tacos. Thanks for your review. Easy on and off the interstate. Right beside a gas station. Check-in was easy and quick. Our room was right beside the pool. Quiet room whether people were at the pool or not. Wifi superb. Clean everywhere. Breakfast was to order. Great staff. This hotel is very comfortable , mattresses awesome ! Showers awesome ! Breakfast pretty good and the staff very pleasant and helpful . We traveled 8 hrs and was there for a my husbands Dads funeral . It was good to come back to a relaxing atmosphere and friendly people at the hotel . There are other hotels in town that are cheeper but I felt it was worth it . Hotel was very quiet with large rooms. Liked the two sink areas so we didn't have to compete for sink space. Breakfast was amazing and the staff were very attentive and friendly. Closeness to the downtown area of De Funiak Springs was a plus since we were attending the weekend Chautauqua at the lake. Dear Guest: We love that your enjoyed your stay and enjoyed a great breakfast to start your day. thanks for sharing your stay with us. The room was decent (especially for the price... military discount available as well), but what really stood out to me was the Customer Service. Not necessarily by the front desk attendant, but by the lady in the Restaurant and the 2 young ladies that were preparing breakfast in the mornings. Another thing, while I am on the subject of breakfast, is that it was HOT! They had 3 options for breakfast, like a #1, #2, and #3... all of which were hot and made to order (and quickly). I had the same breakfast item both mornings of my stay, so I can't speak for the #2 or #3, but the Eggs and Sausage were fresh, hot, and delicious. We made reservations for this hotel as a stop over on our way from Jacksonville to New Orleans. They offered a military discount, which was very much appreciated. From the front desk staff to the room itself, this was a pleasant surprise. The room was very clean, the a/c worked great, and the water pressure in the shower was appreciated. They also offered a free breakfast. If in the area, I would highly recommend this hotel. Thank you for sharing your stay with us, we are pleased you enjoyed your stay and we would like to Thank you for your service to our County. We love that you were pleasantly surprised. Have fun in New Orleans. "We did not get the room we were promised...but made do"
My family had requested a handicapped room but when we arrived we were told it was not available. It was very difficult for my relative to get in and out of the tub/shower. They really need to consider renovating so there are some handicapped rooms closer to the front desk AND make sure you can just walk right into a shower. They need long bars and something to sit on while showering. Also, there is not much light in the rooms. The beds were comfortable and we made do as best we could. The complimentary breakfast was hot and good. It is really the best place in the area available for visitors so we cannot complain too much. We will stay there in future but hope we can get a better situation for elderly needing easier facilities for showering. Dear Guest: We are sorry we did not have and ADA room available for you, we do have ADA rooms with roll in showers and grab bars for the convenience of our guest. We are glad you enjoyed a good hot breakfast to start your day. We thank you for your feedback and we will address your concerns with our staff. Pulled in here for one night traveling through Florida. We chose it because it was Pet Friendly. Problem is, I don't believe they clean these correctly after last use. My dog was going nutz with the 'smells' . My wife and I sneezed for days after this stay .. she's allergic to cats. I'm allergic to whatever was in that room. Don't ... use Carpet in a Pet Friendly Room! Dear Guest: Thank you so much for sharing your feedback with us, we will address your concerns with our staff and again we thank you. I was deployed to Panama City during the Hurricane response and arrived 24 hours after the storm hit. Our command found this hotel for us to stay at each night, which still had power. The drive to and from the hotel was 1.5 hours after our 14 hour shift, but all I can say is thank God! The staff here was great and this place provided us just what we needed! A comfortable bed, power to ensure A/C, a nice hot shower, and a safe quiet place to get 4 hours of sleep each night. This place provided a hot breakfast at 0630, however we were gone (5 AM) long before it opened each morning. This place also has a bar and a nice pool. The only thing lacking, was a safe in each room which would have been nice. I am so grateful we had this "oasis" during our long, hard deployment. Thank you sincerely to all the staff from my squad. Dear Guest: We want to Thank you for your service and helping those devastated by this horrific storm. We are so glad we were there for you when you needed rest to get up the next day and start all over again. Thank You does not seem like enough for all you and your Unit does and continue to do. Thanks you so very much!!!! This was the only place we could find at the last minute to evacuate to and glad we found it. The room was clean and the staff, especially the restaurant staff, were just outstanding. K have a couple of dogs and was not going to leave them behind, they are part of the family, the Best Western staff welcomed me, my partner and the fur babies with open arms. THANK YOU. It was an overnight stay. Rooms are clean and the perks are there. The staff were friendly. Easy access to highway. We enjoyed our short stay. Would return if travel is in this area. Did not see any negatives, but the stay was only overnight. 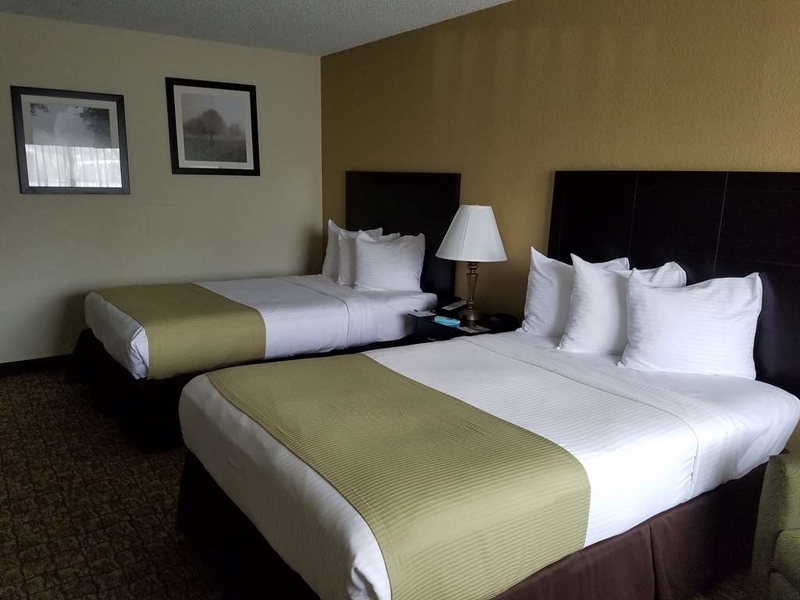 John: So please you chose us for your overnight stop.. Glad we were conveniently located just off the highway and our staff was friendly and you had everything you needed for a good nights rest. Thanksi. Right off of Interstate 10, the motel looks like it was built in the 80's. I doubt it was a best Western at the time, maybe. It is surrounded by established and well maintained landscape in a wooded area. It is a large facility with a restaurant, bar and lots of rooms. The layout involves a long building with rooms on both sides of a single corridor. Each room on the ground level has an outside entrance where cars park right by the door if you arrive early. And inside the room there is a door that goes out to the corridor. We were in a mobility accessible room that was the farthest from the lobby, and next to the coin operated washer and dryer and ice machine along with a door opening to the outside and stairs going up to the second floor. Considering this, it still was a quiet room. The room had two double beds with mattresses that were poor quality unless you enjoy feeling the springs. On the plus side, it was a good size room with an upholstered chair, desk and chair, good size flat screen tv, microwave, small fridge, and a night stand between the beds. It also had a hair dryer, coffee maker, two sinks areas, a walk-in shower, hand held shower head and lots of grab bars. The AC worked fine and the room smelled ok. The room and bath area were clean. However the corridor had a musty, dank feeling probably because it didn't feel like it was an air conditioned area. We had stayed at this location years ago when the restaurant was the large room with windows looking out to the trees. Now, a part of that area is used for the complimentary guest breakfast. The "restaurant" is now part of the bar, serving sandwiches and a few entrees, which are fresh and filling. We really liked the breakfast choices. There was the usual coffee, juice, pastries but there was a server who took our order for eggs they way we wanted along with choice of meat, grits or toast. She delivered it to our table and asked if she could get us more coffee or juice. Wow, real eggs at a Best Western! Every body was friendly from check-in to check-out. I just hope it doesn't downsize much more than when we were first there. "Overpriced but pet makes it okay"
Let's start with the good things about this property. The people who work there are nice. They have an onsite restaurant that opens at five. If you are traveling with a doggie and do not want to leave it in the room alone, this restaurant and the property are excellent choices. I had an excellent wrap and sweet potato fries at a decent price and they tasted good. They also have a bar, so you can have a drink and don't have to worry about driving afterwards. I was traveling alone, and I felt safe there. The room was clean. Breakfast was okay and free. If you eat pastries, it was probably better than okay. Here's the negative. This property smelled dank in the hallway. Although there is an inside entrance to the room, there is also an outside. I got there early enough and was able to park directly outside, so I could control someone being parked right outside my room. If I had gotten out of there for less than $100, I would have felt better about it. If there were 2.5 stars, I would give them that. Bottom line: nothing was wrong. Very old property. Dear Guest, We are pleased that you enjoyed our staff and our onsite Restaurant, We are also pleased you found our rooms to be clean. We will address you concerns with our management team and we truly appreciate your feedback. We are elated you loved our great location and found our rooms and our housekeeping staff to be excellent. We love all our guest but our returning guest are like family. Thanks for sharing your stay with us..
We really enjoyed our stay here. 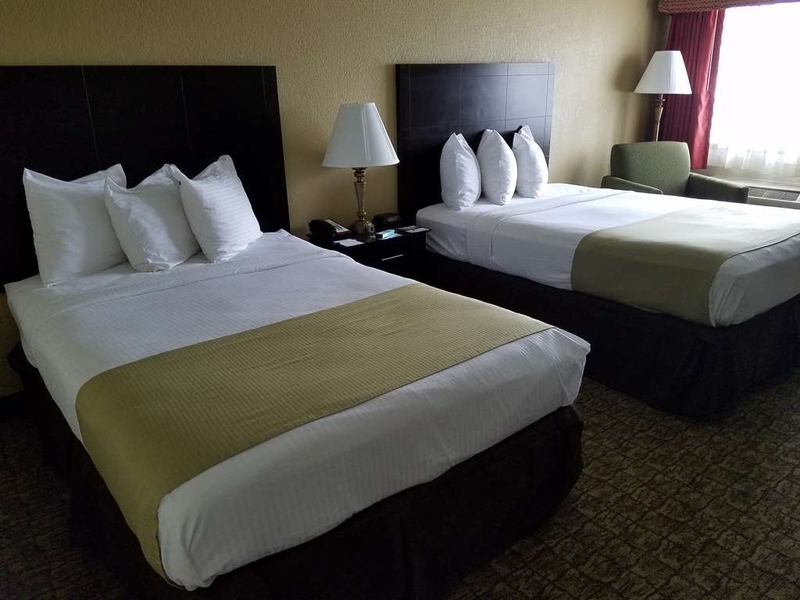 All of the staff were very nice and helpful, the rooms were clean and comfortable, and the onsite restaurant served good food at reasonable prices. We enjoyed the pool, too. I chose to stay here because they allowed pets, and they were very welcoming to my Border Collie, with lots of grassy area for walks and play. A great place to bring your family and your dog! Shelly: We are so pleased you fund us to be clean and comfortable and you enjoyed your short stay with us. "Heading from Key West,FL to Jackson,MS"
Stopped for the night on our way home from vacation. We stopped here at 10:30 at night and had a quick check in with easily available parking at front of hotel that was well lit in the evening. We were on the second floor and never did find an elevator but didn't look too hard either. The bed was fantastic, we had a horrible bed this past week while on vacation so the double beds in our room were wonderful. Three pillows on each bed that were oh so comfortable. The shower/bathroom was clean and the water was nice and hot, and the provided mini shampoo and conditioner made my hair feel great. Breakfast was included the following morning and its recommended arriving early if you want an adequate selection otherwise it is limited. We arrived an hour before it ended and a lot of items were already gone. There was limited silverware available as well. The breakfast included yogurt (2 left), scrambled eggs (empty), biscuits and gravy (yum), sausage patties, pancakes, apples/oranges, cereal, and orange juice/coffee. Overall the bed made me the happiest, our kids were irritated by some noise outside their rooms with families that had smaller children but overall it was a good nights rest for us and I am thankful. Pretty standard Best Western with relatively modern decor and pleasant front office staff. With taxes about $139 per room and this includes breakfast. Plenty of restaurants around the area if you are interested in a quick bite to eat before hitting the road. "Best Western Defuniak Springs Fla."
Dear Forrest: We love that you had an excellent stay and found us to be an excellent value as well. Glad you enjoyed our restaurant and our close proximity to the beach. Thanks for sharing your stay with us. "Great stay in Defuniak Springs"
Very, very nice hotel in Defuniak Springs. Well maintained and nicely landscaped property at very reasonable prices. Excellent full breakfast. Restaurant and lounge in the hotel. Nice pool area. We were very pleased with our discovery of this hotel. "Avoid the rooms by the pool"
Stayed here last night to be close to our condo in Panama City Beach for early check in. We had a king ground floor room that opened right to the pool. It was raining when we checked in and there were several swimming. Unfortunately the swimming was still going on at midnight and as you know kids swimming aren't quiet. We were very frustrated to not have a good nights sleep because the pool was open that late - but even more upset by the parents who let their children be so loud while others were trying to sleep. The room was nice enough and the bed and pillows comfortable. The bathroom sink area was just ok - pretty old vanity and the hairdryer was filthy (picture attached). If we stayed here we would certainly request a room away from the pool. We didn't try breakfast or the lounge. What a great experience. It was clean and quiet. The staff at all levels were professional and courteous. What a nice spacious campus - trees, grass, all well kept. As a general rule, I do not eat at hotel restaurants because they are so bad. So, reluctantly, I tried the restaurant here. What a great surprise. The chicken Cesar salad was outstanding - I had it on two nights! The folks at the next table had the chopped sirloin and rated it excellent. Both dishes were large portions of food. The cook came out and talked with diners and was a lot of fun. The hotel was not full for my midweek stay. However, it is a favorite for travelers to the great local beaches so book early for weekends and holidays. Hello: We are so very pleased you enjoyed your stay and you found us to be clean and quiet. We love that our staff exceeded you expectations and you found them to be professional and courteous. Glad our Chicken Caesar impressed you.We are truly Elated and Thank you for sharing your stay with us. We stopped here overnight because of TBE basic location. This appears to be an older property that could use a little TLC. On TBE positive side, the room was clean and the bed was comfortable. The grounds appeared we'll-kept and the staff was friendly. On the negative side, our room was on the first floor and had doors exiting to a central hallway and also directly outside. The outside door did not seem very secure and my wife felt uncomfortable about the security of room. I use a CPAP machine and the electric outlets on the table lamps by the bed did not work. The only outlet available was located under the bed and could only be accessed by moving the mattress and box springs about 2 feet off the frame to locate a power strip that was not fully functional. The hotel has both a bar and restaurant. The complimentary breakfast is served in the restaurant with eggs bacon and sausage cooked to order. Cold offerings were minimal, and it was a bit concerning that the waitress taking orders for hot breakfast items was making negative comments about the quality of the food items. Overall, the negatives outweighed positives and I cannot recommend this hotel. We originally only booked one night at this location but, after about 8 days of travel, decided we could use two nights. I called and they honored my really good rate for a second night, so I was already in a happy mood upon arrival. We were staying here for a break from our travels, to do our laundry, and also to enjoy some snorkel/dive time at the nearby springs. The staff was fantastic-everyone had a smile on their face, they were quick to ask us if we needed anything, and even housekeeping was chatty and friendly, offering me a cup of coffee when I stepped out of my room that first morning looking exhausted. The breakfast was decent, made to order, and the staff in the breakfast room was friendly. The internet worked fine-until the storm of the century blew in and the thunder was so loud we thought we were being bombed! Not being from Florida, this was a shocker to us, but we actually enjoyed the storm once we realized it was just a storm! Deborah: We are elated you enjoyed your stay , we are pleased you chose us for your rest! 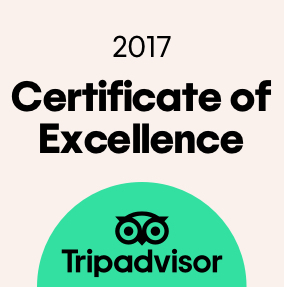 Glad our staff was friendly and helpful and we did our best to anticipate you every need. thanks for sharing your stay with us. .
We found out the middle of the night as we were driving to Fort Walton that the Extended Stay cancelled our reservation after trying to charge the full amount of our stay to our card and it was declined. Apparently they had given the room away and had nowhere for us to stay for the four days that we had originally booked. I'm so glad we found Best Western Crossroads Inn it was great. The staff was sweet. Housekeeping was very clean. This was a wonderful fine and a blessing her. We were very comfortable. We hope to go back again in May for the Chautauqua Vineyards and Winery Festival. The hotel was conveniently located close to the interstate. They did have a bar and lounge which we did not use. There was also a convention going on. There are a few close fast foods places to eat. The biggest headache was the road construction which has been going on for several years. Dear Guest: We are so pleased you enjoyed your stay and we thank you for your 34 star review. We ar glad that our location was perfect for you and we look forward to seeing you on your next visit. Traveling cross country as quickly & economically as possible we found BWCI a refreshing change from the norm of mid priced hotels. After a long & exhausting travel day we were welcomed at the front desk by pleasant & caring Stephanie who graciously arranged for a room on the 1st floor to accommodate me due to health issues. Room was a generous size, clean, & comfortable. Nice couch to relax on. Breakfast buffet was generous & served in a pleasant room. Highly recommend this facility for anyone passing thru & looking for clean & comfortable accommodations w pleasant & respectful staff. Room was very clean and stocked wit h everything you could need. Location was good to easy to get to from I-10. Staff was very pleasant and answered questions with knowledge Breakfast was nice. Bed and pillows were very very nice. Wasn't sure what we were getting into when we pulled into the parking lot. It looked like an old motel. However, we were happily surprised. A most enthusiastic reception person, Stephanie, thanked us for being Platinum customers. She was most enthusiastic about Best Western and the improvements being made. She told us the origin of the town's name after we commented on the unusualness of it. Seriously: I think that you should put her in a commercial. Our room was quite plain but clean. It had both an outside door and an inside door. We have never stayed in a hotel/motel with this configuration. However, it proved to be a nice touch. We were able to exit the inside door to get to the bar/restaurant and lobby. Dinner in their pub proved to be very nice. The Mahi Mahi grilled fish on a brioche was very delicious. Breakfast was very pleasant in their large breakfast room. The biscuits were excellent. This was our first time driving on I-10 in this part of Florida. If we do drive a similar route in the future, we would definitely stop at the Best Western Crossroads Inn. Keep up the good work, but feel free to do some updating of the rooms! 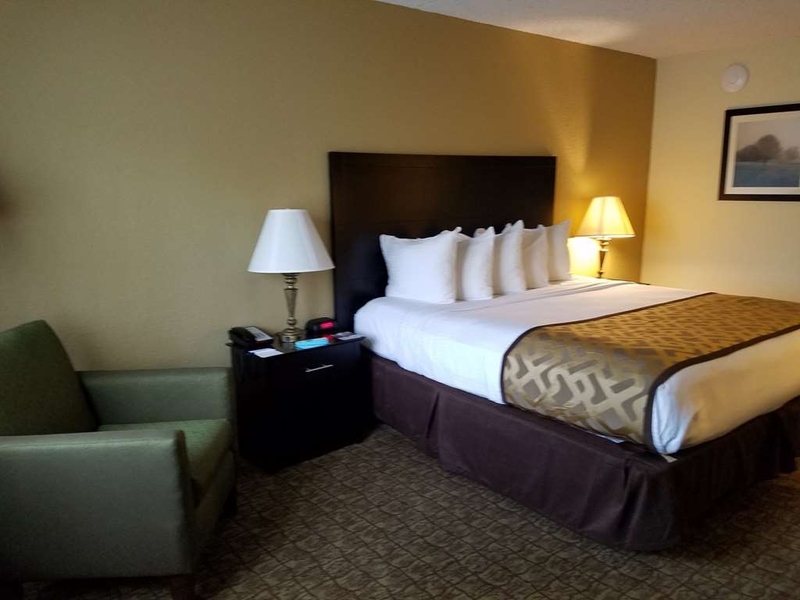 Dear Guest: We Thank you for being a Platinum member with Best Western and we are so pleased we exceeded your expectation by providing you with excellent service and clean and comfortable rooms. Thanks for sharing you stay with us. Everything we needed in a hotel. Smiling greeting from Stephanie at the front desk; clean and comfortable room at a reasonable rate. It just got better with a nice restaurant on premises with full dinners, sandwiches and a kids menu. Also a full bar which we appreciate after driving for 10 hours. Breakfast is very nice with Samantha serving eggs, sausage, biscuits and gravy plus the usual fruit and cereal. Very nice not to be jammed up in cramped buffet line. Highly recommended staying here. Dear Guest: We are elated you enjoyed your stay and you found our staff to be friendly and helpful and always smiling. Glad our rooms were spacious and just what you needed after 10 hours on the road. Thanks for choosing the Best Western Crossroads. "Perfect place to break a long drive"
Happened on this motel in desperation after a long drive but was delighted at the find. Rooms on the front face a little lake and the motel is off the highway enough so the back is not noisy. Clean and comfortable but simple. The menu in the little bar and grill in the motel was mostly sandwiches, soup, hamburgers and pasta. It was fresh and nicely prepared. After a long drive it was nice to just eat in the motel. There was a cooked breakfast in the a.m. also fresh and welcome. The only complaint I had was that the handicapped room was the furthermost from the front entrance and the restaurant and breakfast bar. The motel is family and pet friendly and has coin operated washing machines available. We liked it so much we planned our return trip to allow a second visit. Nice, quiet...nothing fancy, pool was too cold to use...restaurant/bar was convenient, but since there were a lot of guests, service was slow, but the food was terrific once it ca,. Just be patient and be prepared to wait. Dear Susan: Glad you found our property to be clean and quiet and you had a chance to relax with a cocktail and great food at the restaurant. Thanks for taking the time to share your stay with us. We have been to this hotel several times, in fact we have stayed here several times before it was a Best Western. It is in a convenient location and has it's own restaurant and lounge. The rooms are spacious and clean and the staff couldn't be more friendly. The room had a mini fridge, microwave and nice television. The real not breakfast was very nice, just wish it was all you could eat! It is not the least expensive hotel in the area but you get what you pay for. If you decide to travel around the area there are quite a few places to eat. The hotel is a bit dated but I have found through many years of travel that the majority of places to stay are a bit dated. It is in a safe clean location and there are two entry doors, one from the outside and one to the inside hallway. Front desk is all smiles & you can tell Jeff loves his job! Rooms have a door to the outside that makes it easy to move ur luggage in & also has a door to interior hallway. Micro/fridge, two separate sink areas, coffee maker, large flat screen tv, comfy/clean beds & the most luxurious towels we've ever used in a hotel! VERY quite hotel in a pretty setting. Beautiful pool behind hotel looks out to a very peaceful forest. Free breakfast is cooked-to-order in the very nice dining room. There is also a full bar with live music some nights. Can't wait to come back for another visit!! "Best Western at DeFuniak Springs"
Hotel was excellent! The staff was accommodating, professional, and courteous. We especially liked that it was convenient to the interstate, and most of all, pet-friendly. The rooms were clean and comfortable, and the food was good. We were so tired when we came upon this place.......fingers crossed they were pet friendly........and they were! And then we found that there was a restaurant! Heaven! And a fresh cooked breakfast in the AM! We were thrilled! Dear DAniel: Thanks for your 5 star review, we are so very pleased that the billboards pointed you in o9ur direction. Glad you found our rooms to be clean and comfortable and were able to take advantage of our Bar and restaurant. "Good clean place to stay"
Nice hotel. Free hot breakfast; not a buffet but eggs, grits, biscuit/toast, bacon/sausage made to order. Nothing super fancy but clean, friendly staff, comfy beds/rooms. I especially liked the hot breakfast and free wi-fi. Pay attention to signs to get to the hotel; a lot of road construction going on; enter by turning into gas station. The rooms smelled of smoke, it took days to get the smell out. It is a great location near the HWY. Staff is very professional and helpful. There are questionable people hanging outside the rooms during the day and night. "Tired and needs some love"
Here's how I decided on my 2 star rating. My wife and I stayed here in November of 2017. When this place was brand new it was at best a 4 star hotel. It is old, tired, and needs a decent amount of maintenance so I knocked one star off. Breakfast is supposed to be included but you order off a menu instead of it being self serve. When we went to get ours, we were told that the kitchen had a problem and nothing hot was available. No eggs, bacon, sausage, grits, anything hot. Oddly enough every other table in the restaurant with people already seated had hot meals. I really have a hard time believing everything in the kitchen broke down at the same time. They had some kind of peach yogurt I had never heard of and nothing else. No fruit, melons, not even a different flavor of yogurt. I subtracted one more star. Lastly the signage at this facility is really lacking. I wasn't sure we were at a Best Western when we drove up and the lobby is hard to locate when it is dark. It better than average, probably a strong good! I stay there because: Location Fair price Good accommodations Bar & food service. East of getting to room I'll probably continue to stay here for the above reasons—if prices are fair & place is kept up. Suggestion; you might consider a HI E or HI three b'fast offering. "So happy they take large dogs." Very Friendly staff. We were traveling with 2 large dogs to help our children get them from Miami to Tx after being evacuated from Puerto Rico after hurricane Maria. This place was a life saver. While a basic hotel it had everything we needed. Dear Stephanie: We are so very pleased you found our staff so friendly and helpful during you stay. We are so happy your family made our of Puerto Rico safe and we wish them all the best on their new journey. I checked in feeling pretty sick. They put me in a room that would make it easy for me to get my things in and out, and close to the restaurant. They were all so nice and helpful. the room was clean and nicely decorated. I would stay here again. The hotel was very clean, had comfortable beds, the staff was friendly, was especially pleased that the free breakfast was in a restaurant where you could order how you wanted your eggs cooked. Would definitely recommend this hotel. "Nice not to have to go out to eat." Our first night on a long trip. Helen checked us in and was very nice and friendly. I really liked the fact that the motel had a restaurant. Of course, the last time we at in a hotel's restaurant it wasn't a good experience. This time it was. I wasn't as happy with my food as my wife, but it was nothing to really complain about. I just didn't order the right thing, I think. We would stay here again if in the area. I agree with 585harold. There was a desk but no accessible plug. The lamps had outlets but were so loose the plugs would not stay in. I did not think the place was that clean and it was noisy. Breakfast food was pretty good and the location is what attracted us as there really were no good lodging choices in DeFuniak. Even though they are using new signage we don't usually stay Best Western. They are independently owned and there does not seem to be a very high standard. At least with the Comfort Inn and Hampton Inn you usually know what your are going to get. Sorry for the negative report but it is what it is. "Had to bring my own ectrical outlet strip because the very old lamps with plugs will not hold a plug." "Great place to stay. Wonderful people"
We highly reccomend this Best Western. People make or break the stay. The room was spotless, thanks to housekeeping, and that is so important to us. Desk and staff exemplify a most positive and helpful attitude. We will surely stay if we are in the area again. Grounds are well dept and appearance was terrific. Guess it would rate 5 stars. Dear Harry: Glad our staff exceeded your expectations and your found our rooms to be clean and comfortable. Thanks for your 5 STARS!!! Stayed at BW Crossroads for 2 nights on Labor Day weekend. Some parts are are dated but overall a good value for the price. Clean facilities, extremely friendly staff. Easy checkin process. Bed and pillows comfortable and inviting after long day on the road. everyone was friendly and extremely nice and helpful. Rooms were very nice. Bottom floor rooms have interior and exterior doors. Ease of access to your car. Highly recommend. Had hands full of coffee going back to my room. Room service helped open my door so I could get in with ease. So super nice here. 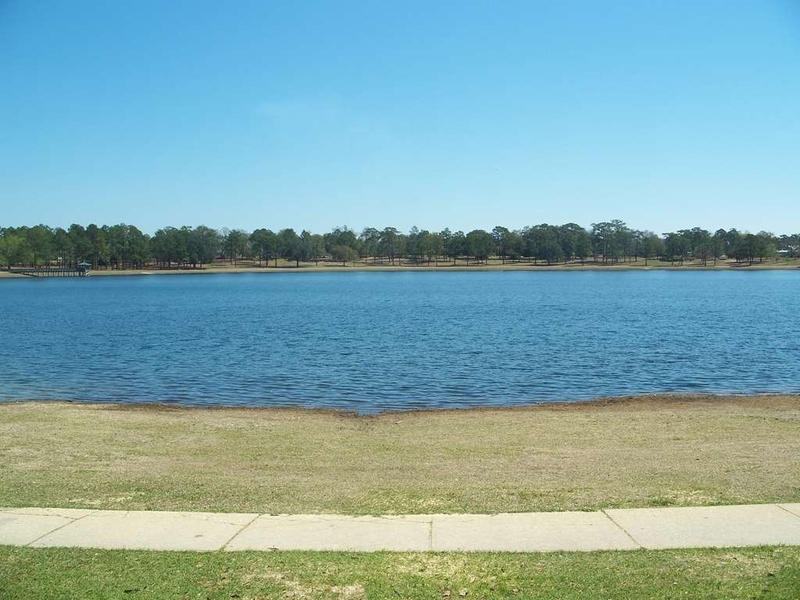 "Beautiful and convenient setting just outside DeFuniak Springs, on Hey. 331 to Beaches and at I-10 Interchange." This hotel offers great value in a quiet, lovely setting...big lawn, tall trees, pond. Staff is exceptionally friendly and helpful. Rooms are large and offer nice amenities. Value is exceptional. I wouldn't stay anywhere else in DeFuniak Springs. Only problem was their Wi-fi was spotty and channels on the cable TV were scrambled. But that's not the fault of Best Western. Call direct for directions because it's not well-signed and you can too easily get back onto the Interstate...then it's 10 miles before you get get off! Nice motel with excellent staff,knowable and friendly. Room was comfortable. Enjoyed the free breakfast buffet. Would recommend this Best Western Crossroads motel. 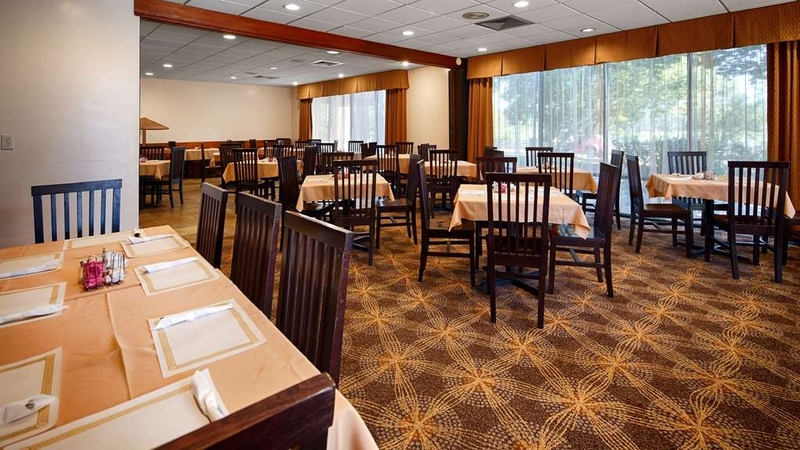 .Stayed four nights and made several day trips to beach and nearby cities..
"Pleasant Stay with Onsite Restaurant"
During a recent business trip, I stayed at the Best Western, located in DeFuniak Springs, FL. The property is an older one and is probably due for some updates and renovations. The interior hallways are dark and dreary looking. The room doors that lead to the outside parking don't seal very well, either. The room was clean and the bed was comfortable, but the bathroom was a bit on the small side. What this property does offer, however, is an onsite restaurant. The food was fantastic and the chef even came out to the table to see how everything was. The hotel staff went above and beyond to make sure that our hotel visit and stay was great. The hotel was clean, great location, and the only pet friendly hotel in this area. I would book and stay here again. Affordable enough and close to the beaches and activities without the big cost of staying in Fort Walton. Some restaurants and shops close by for the last minute things. Fridge in the room was nice sized for our 3 night stay over. "Great overnight stay while on the road"
Stayed here for one night on my way back home from a business trip. Everything was aces for my needs... location (right by the interstate), quiet (no interstate noise), clean, comfortable, safe. Could park right in front of my room, with an exterior room door to parking lot, but also could use another equally-secured interior door at the back of the room to walk to the lobby area without having to venture outside. I slept soundly , got up, and had a great shower followed by a great breakfast before moving on down the road for home. I would definitely stay here again. Dog friendly, easy check in, excellent breakfast, beds were comfortable! Located off of Interstate 10, the location had plenty of parking for the truck, trailer and very large moving truck. Staff was attentive and friendly. "NICE STAY FOR THE MONEY!" This is a nice hotel to stay at. I was looking for a hotel and my daughter suggested this one. I'm glad she did. I enjoyed my stay. Except for not having an elevator and walking up a flight of steps to your room, I have no complaints. Hotel is certainly not brand new, but it's very clean, it's quiet, rooms were spacious and comfortable, and the breakfast was really very good. And they had a pancake machine! You have to try it out. My family was very pleased during this one night stop over stay on our road trip. I will never stay here again. Other than a dead spider in the bedroom, the room was clean, but the walls were paper thin. At the breakfast bar, there was no coffee, juice, milk, etc unless you asked a staff member who then brought you one cup and the gravy for the biscuits had no flavor, eggs were cold, no bacon, sausage looked under cooked. My major complaint, however, was the group at the pool. Our room was right across from the pool, there were about 20 people there until well after midnight!! I tried to notify the front desk but no one there. Needless to say, not much sleep. Never again!! Awful ,dirty, terrible. Never Stay here. Bad Customer Serv. Don't be deceived by the pictures Room looked like it had not been cleaned in months, dust, hair on nightstand on the bathroom floor, when I got my room the door was opened and one f the beds looked like someone had slept in it. Cleanliness SO BAD I WAS SCARED TO EVEN IT THE BREAKFAST FOOD. The ladies at the front desk were very nice that is the only positive thing I can say about this place. I checked in with my 3 kids tonight and when we got to our room it was filthy, food all over the floor and it was obvious it had not been vacuumed in quite some time. I called the front desk they graciously brought me to another room that was not any better. Dirt pile as soon as we walked in and trash on the floor. You could also see it had not been cleaned either. In both rooms the furniture was outlined in dirt and filth. We put our luggage back in our car and left. I do not recommend it at all! Great stay, Stephaine went out of her way to make us feel welcome. She offered helpful advise as to where to look for a place to have dinner. The room was clean and even tho we were on the highway it was surprisingly quiet. "Sorry, no, we wont be back :("
I wanted to write a good review, i really did, but sadly i just cant. So i gave 1 star for being a roof over our heads & 1 star for Stephanie who "tried" at the front desk. We checked in with our reservation. Drove to our outter entry room door. Saw someone walk up to the door and knock. Door opened from the inside and they both went in. Drove back to the office. Given a 2nd floor room...an OLD, FILTHY, afraid to sit down room. Called the office. Was told housekeeping would come up. An hour later, still no housekeeping, so we went back to the office. Given a 3rd room. Not the best we've had, but way better than the 2nd room. We checked out as soon as we woke up about 5am the next morning. We've stayed in some very nice Best Westerns before, but sadly this one was one of the worst, and surely not worth anywhere near the $125+ we paid. "Surprisingly pleasant experience and great value!" Wife and decided to get away spur of the moment for Santa Rosa Beach FL for 4th of July weekend from 6/30/2017 to 7/5/2017 and everything on the beach was booked so we stayed here conveniently right off I-10 with short 20-25 min scenic drive over bay bridge to beached. Friendly staff, great value, clean and very nice experience. Even offered me a generous military discount. Overall a very satisfying and pleasant experience! Dear Guest: Thank you for your feedback and we are sorry we failed to meet your expectations. We will address your concerns and we truly Thank you for sharing your stay with us. Our room was nice but it wasn't clean.We arrived at 8:45pm and we were very tired.When we checked into our room there was what looked like some kind of small pieces of candy along the baseboards,the tile had black hair all over it.The worst was the bathroom,the toilet bowl had a black and pink ring in it and when you put the toilet seat down there was urine every where as well as black hair all over the floor.I don't know what happened to housekeeping in this room but it was very poor.The breakfast was nice.Staff upon check in was friendly.Dog friendly which we needed but I don't know I would stay again. Dear Guest: Glad you found our staff to be friendly and accommodating and check in was pleasant. Our guest opinions matter and we are sorry we failed to meet your expectations and we are not sure what went wrong as well, but we will be addressing your concerns with our housekeeping staff and we truly Thank You for your feedback. Lady at service desk rude as ever. Wouldn't let us even think about checking in 20 mins early as staff didn't have rooms cleaned. Ice machine out of ice. No one does anything about that. Asked for extra towels at front desk told I needed to find a maid to get them. Pool has brinks loose. Pool man almost feel in due to it. Place is a joke!! "Best hotel in DeFuniak Springs"
Stayed there multiple times, travel for business twice/month for 1-2 nights each stay. Good rooms for the price, comfortable. Very nearby Chautauqua Winery and other local attractions & restaurants should you not care to dine on the property. 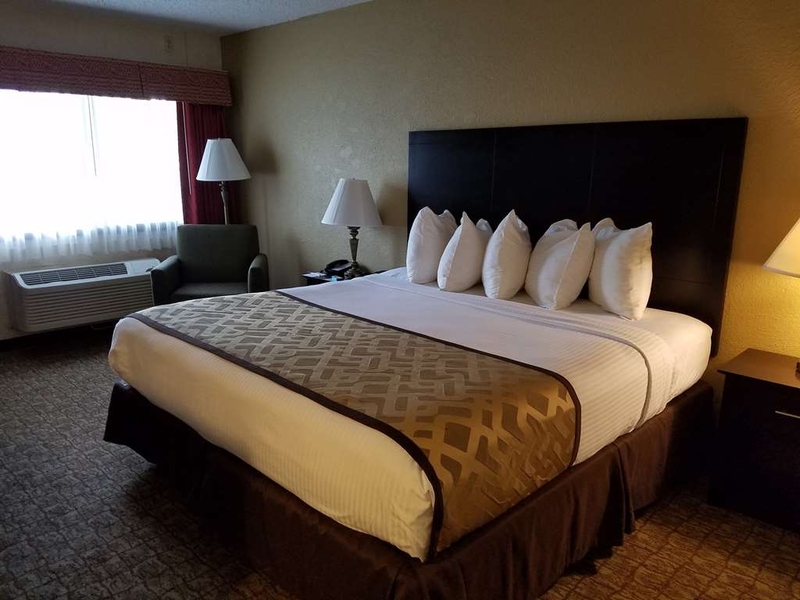 Great room, housekeeping excellent, service desk excellent Food was great.First floor room with outside door easy unloading car.Very quiet at night .Washer and dryers on first floor and vending machines. My family and I visit the Defuniak Springs area quite frequently as we enjoy visiting the beaches on 30A, but don't enjoy paying for the high priced condos. I had always been skeptical of trying the Best Western, but I am so glad we finally did. I was thoroughly surprised! The hotel and grounds were very well kept. The rooms were nice and updated. The continental breakfast was also nice as it is a buffet. All of the staff that we encountered were very polite and friendly. We will definitely plan on visiting this location in the future! "Reliable, clean and comfortable place to stay"
If you are crossing Florida on the panhandle, this is a sure bet for a good night's sleep and great breakfast. Easy to find and quiet. Wifi available, and if you have a pet, that is accommodated as well. Nice to take a walk around the grounds which is not always possible near a highway. Great hotel, there have been upgrades to the room décor. restaurant has a decent menu. Breakfast is buffet style. Classic Southern food. If you have the time go into downtown and see the Lake caused by a meteor about a quarter mile across. Perfectly round. Only two (so I'm told in the world.) There is an old hotel that may be closed but IS still haunted. We have stayed here many times and are always pleased by the staff and the rooms. The kids love the pool and the breakfast is great. It is an excellent place to stay with dogs. Lots of grassy areas to walk your furry pets. Lots of restaurants nearby as well. And don't miss the best little candy store in DeFuniak Springs with all kinds of old fashioned candies. The lobby was clean, staff enjoyable, and they seemed to enjoy their job, and the room very clean and quiet. We stayed there only one night but the bed was comfortable and I wish we had had time to stay and eat breakfast. Excellent service and clean and comfortable room.. The food at the restaurant was very good, and I appreciated not having to drive off site. All the employees were friendly and helpful. Will stay there again. "Yearly visit to Florida to visit family"
We couldn't of asked for a better location. The night clerks were very friendly and helpful. They even gave us a ittle history about the hotel. Of all the Best Westerns we've stayed at, this is the only one that we have stayed at, that had dinner available and a lounge. The grounds were beautiful and the hotel was very unique. Very nice motel we have stayed in for years. It is an older motel but has been updated, comfortable bed, clean room, friendly staff. The restaurant is the reason I didn't give it 5 stars use to be wonderful but has new chief....yuck! Room was clean and well maintained. I like the front and back door access it made it feel more private. Also close enough to the beach that you could be there every day but far enough away it doesn't feel congested. 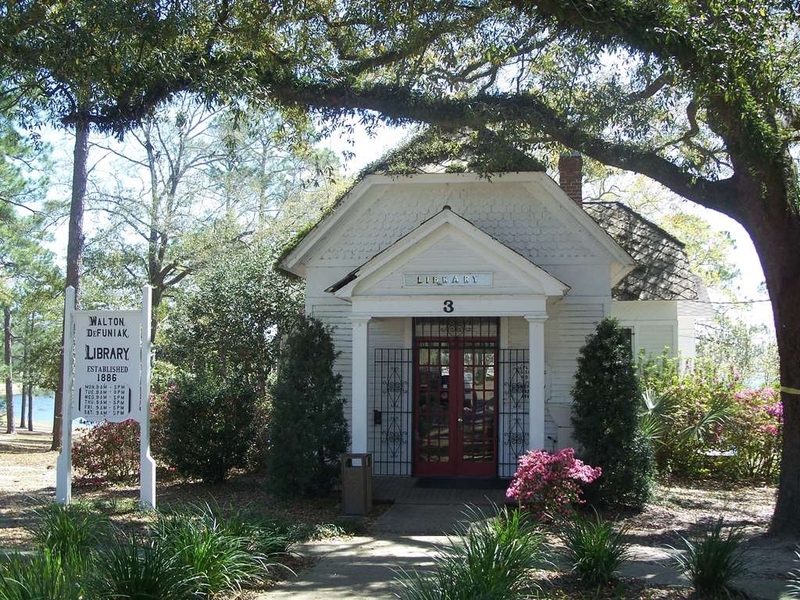 Town of Defuniak Springs is an interesting stop for history buffs. The historic public library and the fact that the town was a Chautauqua are great to learn about and visit. The homes around the round lake have interesting architecture. Places to eat in town were sparse but this hotel is clean, modern and a very pleasant place to stay. We've been here twice in three months. Reasonable, clean and friendly staff. Country cooking. Free breakfast, Convenient location off I-10. One door had big gaps and A/C a little noisy, but beds were comfortable. "Sleep function" on remote didn't work. "Very friendly, not as clean as in the past, understaffed"
We have stayed at this hotel multiple times when we visit family in DFS. The service is always very friendly and every one greets you with a smile and a good morning/evening. My only concern was that this time, the room was not up to standards. Hair and debris left behind doors from previous guests. Since this was a holiday weekend and they were booked at capacity, I was surprised to notice that they were short staffed and even overheard the staff talking about it. On a trip to the Florida Keys, we stopped here for a rest. Good price for the night even though we had not made reservations. Room was clean and comfortable. Great breakfast in the morning; a step up from continental. "Nice End to a long day"
I found this room by calling the 800 number on Sunday night of memorial Day Weekend. We had been traveling all day and were having trouble finding a room. This was on our way and we were delighted to find a kind, friendly and courteous Check-in clerk, a large, comfortable, clean room, and then a real breakfast int he morning. A great place to stop on a long trip. "Great friendly place to stay"
This is the best place in DeFuniak Springs to stay. They have clean rooms, friendly staff, and a nice place all around. Food is good, needs some work, but still good. Nice quiet place to stay. They always make us feel welcome. Thank you for staying with us at the Crossroads. Our team from Front desk, Housekeeping, Maint. and the Restaurant staff all work together to meet our guest needs. A nice place to stay, the staff is so nice. We always stay here when visiting family back home. They have a great `hot breakfast`. So much history around this little panhandle town. Rooms are very comfortable, cable TV. Thank you for the nice review. We always enjoy your visits with us. We are updating more of our rooms so you will see even nicer rooms on your next trip. "A relaxing hotel after a long day driving"
We were very tired after driving 700 miles and pulled in here and within minutes the front desk staff had us smiling. They gave us a handful of extra coffees for the room The rooms were very clean and had comfy beds with lots of pillows. The wifi was fast and had a big screen tv which we needed to lie back and relax. There are two vanities one in the bathroom and outside the bathroom. The hot breakfast was great and we made good use of it. I would stay here again and would recommend it to anybody. Thank you for the nice review. Here at the crossroads we try to help all our guest to feel at home and around friends. We work as a team to meet all our guest needs. Friendly staff- great breakfast pets allowed. Stayed here many times, will most definitely stay at this hotel again. Now I am going to type a random sentence because they require two hundred characters minimum. Thank you for the nice response. We always enjoy seeing you on return visits. This place is very clean and the grounds well kept. I felt very safe walking our dog and the views were pleasant. The free breakfast was a nice surprise! We were expecting the usual "bread, bread and more bread" of traditional free breakfasts. Instead we got cooked to order eggs, meat and toast. Thank you for the nice review, Here at the crossroads we try to meet all our guest needs and want them to feel at home with us. It was ok for one night, I missed the breakfast that Best Western does so well. You order off small menu and they cook it for you. I prefer choices of cold cereal,waffels,yogurt,fruit,muffinsand some times bacon eggs and sausage. Thank you for the review, We serve a hot sit down breakfast for our guest. But we also have Cereal or fruit. I am very sorry about your breakfast, I have spoken with restaurant manager about it and he is looking into it and will take care of the problems. Thank you for letting us know. Good beds and breakfast. The staff was nice and helpful. They were cool about letting me check in early when I drove all night. Parking was nice because it had two doors so you could get right to your car. Thank you for staying at the Crossroads, we try to meet all our gust needs. Happy you enjoyed your stay and hope to see you again soon. I only have positive things to say. First, pet friendly and plenty of room to walk them I stayed 4 nights and couldn't believe how great i slept away from home. Most comfortable beds and pillows. And the food, OMG, home cooked meals, fresh breakfast, Delicious. Summer, housekeeper, sweet as can be. Ricardo, cook, took pride in his meals. All front desk were polite. Loved it. I felt I paid too much when I called the 800 number to reserve a room- I have paid less staying at the same location in the summer when we made reservations in person.? I also felt you should have been staffed better during breakfast-the waitress was awesome but very overworked. She did not complain - I hope she was tipped well. The Hotel/Motel rooms were very clean with comfortable beds. The free breakfast was cooked and served to order. Manager was very friendly and helpful. I will stay here and at other Best Western hotels again. Thank you for the nice comments, I try very hard here at the Crossroads Inn to make each guest's stay as comfortable and happy as possible. "Another year, another great stay"
I recently traveled to the area for a family reunion and we spent the night here again. It was a comfortable room - 146. The only problem is there is just not enough light in the main room. 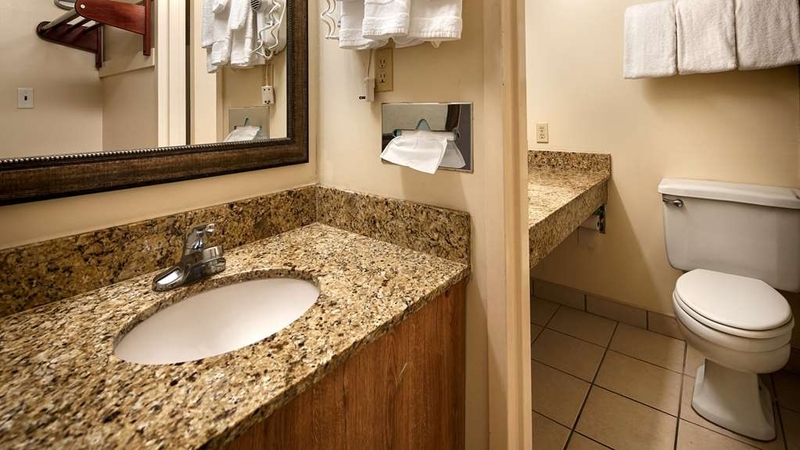 The room was clean and had a small but serviceable bathroom and separate sink/mirror. The beds were comfy. It had a microwave and refrigerator, plus big tv. We enjoyed a hot, complimentary breakfast, complete with scrambled eggs, bacon or sausage, grits, biscuit or toast, coffee, milk, etc. and juice. It was a very good breakfast and the bacon was crispy - YEAH! We will stay here again. Thank you for the nice response we get lot of comments on our Breakfast. We will be remolding our rooms in January. Looking forward to your next visit. My husband and I stayed here for 4 nights during the second week of November. Staff is great, 5 stars for customer care and friendliness. The room was clean enough - it's a pet friendly hotel and there were some stray dog food bits from under the table that kept popping up everywhere (we did not have a pet), and the walls show some age. However, the sheets and linens were clean, and the bathroom was clean, we were both happy with the room. The complimentary breakfast was very generous, the eggs and southern grits totally good and service was personable and great. Definitely a great part of the stay. We were happy and will stay here again. Thank you for the nice review, We will began remolding our guest rooms next month. Looking forward to seeing you again soon. Great half way stop on our way to visit our daughter in St. Augustine, Florida. We have stayed here before and always receive great service and clean rooms. Good location, right off the interstate. We have not eaten the breakfast because we usually leave out before breakfast is served. Thank you for the nice response, We have enjoyed serving you over the years and hope to serve you for many, many more. This was definitely a clean, quiet and comfortable place to stay. The price was reasonable for the quality of accommodations. The breakfast provided was a really nice surprise. Staff was courteous and attentive. Will visit again! After being canceled in Tallahassee because of hurricane, last minute call and reservation here. Staff were very nice and accommodating. Found room and hotel in excellent shape,clean and comfortable. Older hotel but well maintained. Breakfast was above average. Would stay again. Thank you for the nice review. The Staff would like to thank you for staying with us and for the nice comments. Older hotel, well maintained and very clean. We had a very restful night. The hotel was quiet, cool and comfortable. Lots of space and the grounds were well kept and attractive. Very nice pool area. A bonus is the town! Historical homes around a huge lake is absolutely charming and we had dinner at a great place called Bogarts. Thank you for the nice review. We have a great staff here at the Crossroads, each staff member takes pride in their work. We also love our Town, We feel it has a lot to offer in charm and beauty. Thank you again for staying with us. "No complaints - Pleasant stay - Entrance is tricky"
We chose Crossroads Inn because we were interested in exploring DeFuniak Springs and wanted to go to 30A as well. It was a great location for our purposes. We enjoyed the misty morning and mourning doves cooing in the dawn. The hotel is clean, quiet and the breakfast was a pleasant surprise. Included with our room, we were given a choice of two options which were not the usual breakfast 'finger food' and served on cloth tablecloths. We had scrambled eggs, grits, sausage (which was actually smoked sausage), toast, juice and coffee. The other option was biscuits and gravy. Very nice. Loved a couple of things. One was the sink outside the bathroom so I could do hair and makeup while my husband was in the shower. He had his own sink in the bathroom. Two, was the entrance from the parking lot as well as an entrance to the inner corridor. Very nice. Would definitely ask for a first floor room again. One thing to be very aware of (even with a GPS) is that the entrance is not on the main road. It is on the side street. If you U-turn on the highway thinking the entrance is further down, instead of making a left turn onto the side street, you will find yourself on Route 10 with a nice drive before you can turn around. How do we know this? Ha!! The management tried to make it easier with a sign stating that the turn was 600 feet ahead but the GPS appeared to make a U-turn instead of turning further down the street. Left turn/not U-turn might help. We had a very nice stay and would definitely use this Best Western again. "Very clean and helpful staff"
The staff was great. The hotel was very clean. The hotel is dated on decor and overall construction. While the beds were still comfortable they were not what we normally expect to sleep on at a Best Western. "hotel was very clean and neat"
We stayed at this hotel as a stop before continuing to the Florida Gulf Coast. It was a nice hotel with a pool and free breakfast. Our room was clean and large enough for a family of four. There wasn't much to do in this town but it makes for a good stopover about 45 minutes from the beach. The hotel staff was very friendly and accommodating. The double beds were not very comfortable. Rolled to the middle like a taco. Breakfast could not have been worse. The dining area looked ok, but their was only the choice of two hot breakfasts. Both seemed ok, but the quality was not that good. You are not able to serve yourself, so you have to wait for the one lady to serve everybody. There isn't even the choice of a decent continental breakfast. Just a little yogurt and an orange which ran out and wasn't refilled. The coffee carafes were never full, and only held 3 cups of coffee. So, the entire restaurant jumped on them when they were refilled. Never had enough coffee. Lots of hallway smells, and pets in non-pet rooms (which I realize isn't there fault, but if you have allergies you may want to be elsewhere.) The pool looked nice, and felt great. The hair floating all on top was disgusting. "Reasonable rates plus breakfast "
The rooms are spacious enough. The last remodel was probably over 5 years ago, but still palatable. The complimentary breakfast includes scrambled eggs, grits, bacon or sausage, and toast or biscuit, plus a drink. Far more than the continental breakfast at other motels. On Sundays they serve a buffet that serves all of the above and more. Our only complaint, and the reason for a 4 and not a 5 is one of the front desk personnel. He was eating while working. After he checked us in, he gave my wife her credit card back with a little grease on it! I guess to help her slide it back into her wallet?! When I went to get an extra towel the next night, he had beard dandruff all down the front of his shirt. Not a visually appealing sight for the person who first greets your guests. All of the other front desk staff were great. The housekeeping staff was fast and friendly. The restaurant staff was also fast and very efficient. For the price, still a good value, but the experience with "William" (not his real name) is the one thing that sticks out, unfortunately. "Very nice hotel, great breakfast & right near interstate"
This was a very nice & comfortable hotel which had both outside entrance to the room as well as inside entrance through the hotel hallway. It's an older hotel with the low ceilings but it's furnished & looks new both inside the rooms & the hotel. although it's right off the Interstate so it's convenient, the grounds are beautiful & it's like a country setting sit back off the main road. There was no interstate noise either & very well kept outdoor pool. Must eat the great hot breakfast too! Good hotel for overnight stop on our way to the beach. Very friendly front desk staff. Room was clean and comfortable. Hot breakfast was good and a great improvement over most hotels continental breakfast. The mattress and restaurant food and selection are excellent.Tthe staff is professional, well trained and friendly. 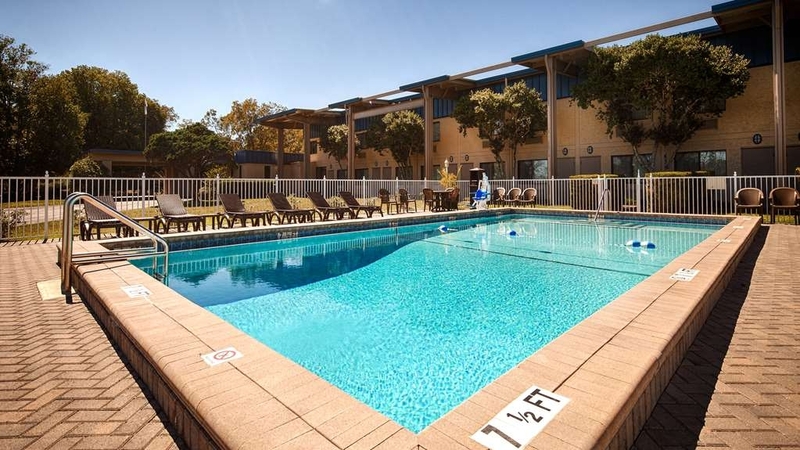 Rooms are large with a microwave, fridge, iron and board, coffee pot and coffee, You have complete control over a/c or heat and the swimming pool is clean. I think its a bit pricey for being in the middle of nowhere when I stayed Father's Day weekend. Winter rates were REALLY good. "Best Western Crossroads Inn, DeFuniak Spring"
A safe, clean, comfortable pet friendly hotel with in hotel restaurant and bar/lounge. Frequented by families and traveling truckers and contractor/repairmen. Located just off I-10 this is an ideal stopping place for people traveling to/from Florida to southwest. We stayed here for several days. It was a nice clean hotel. Two doors, one from outside where you park, and one to the hall so you can walk to restaurant for breakfast. Free breakfast, not the usual type, but it was ok. You get to choose from 2 breakfasts. Staff was nice and friendly. The hotel is clean but dated. The beds definitely need to be updated (I can feel & hear the springs). Our non smoking room had the faint smell of smoke. The staff are all very pleasant & accommodating. The free breakfast is very nice. No buffet. A waitress serves you & gives a choice of 2 selections but it is delish. Restaurant/lounge onsite. Parking is plentiful. Pool looks nice but we didn't have a chance to try it. For divers it is 20 mins from Morrison/Vortex Springs. Plenty of places nearby to eat. Probably wouldn't stay here again as we are used to a more updated hotel. Still, if you need a quick place to stay overnight it's doable. We were on a long road trip, pet friendly a must, and this was supposed to end one "leg" of our drive from Texas to SC. Pros: right off I-10 Cons: nasty carpet (I wouldn't walk barefoot on it), VERY outdated, elec. plugs on the floor and overcrowded (had to unplug lamp and clock to plug in devices w/ChargeHub and a heating pad), everything was so old & worn I was fearful of taking "something" unwanted home with us. We didn't even try the food....we drive this route yearly, but will never stay here again. (We should have checked right out, but were too tired to look for another place) I hate to leave a bad review, as everything should have some redeeming quality, but IMHO can't find one about this place. dilapidated furniture, front desk staff border on incompetence, in general left a very bad taste for future stays . Have advised motel, that the change in management has cost them a customer that was a annually visitor, realize 2 times a year is not much, bit will never stay there again! Older property that was fine for our overnight stay driving thru the area. Room was clean. Complementary sit down breakfast was good; eggs, bacon or sausage and grits. More motel feel with drive up to your room 70's style. I'd stay here again. The staff at this Best Western are excellent. Very nice and seem to really enjoy their job. The complimentary hot breakfast is great as well. Only negative was a strong smoke odor in our non-smoking room. the furnishings and rooms are dated. The breakfast is messed up.. having us have our drinks served by servers There seems to be real rationing going on. The rooms are over priced for what they look like. All the comforts to suit my needs. The restaurant has a good selection of food on the menu. Had to leave too early to enjoy the breakfast. This hotel and onsite restaurant are reasonable priced. The wait staff were very attentive. The staff at check in and check out were very friendly and welcoming. "Good for traveling with dogs"
Standard room, nice staff, better than usual coffee, sit down breakfast that is better than the serve yourself...efficient waitress, breakfast was ready in 5 minutes. Lots of green space for dogs. Quiet and convenient to I-10. Parked right outside our door and parking well lit. "Crossroads Inn, Defuniak Springs Florida"
I travel a lot and this is my favorite place to stay. It's clean and the staff is cheerful & friendly. There is a down home vibe that helps me relax. I rest well; the beds are comfortable. It's not fancy, but it has a definite charm about it. just off of I-10, very convenient for travelers. Wonderful experience, Clean, I mean clean, older updated Inn. Makes you feel like you stepped into another world. Does not feel like you are on the interstate. Quiet place to sleep off the highway. Staff has the right stuff. For the price you can not beat it. We never considered visiting DeFuniak Springs in Florida, but went there for a planned scuba dive trip. The Best Western Crossroads was one of the two hotels recommended to us so we booked it. When we drove up to it, we could tell it was a fairly dated property and were somewhat concerned. Check in was easy and our downstairs, non-smoking king was ready. There is plenty of vehicle parking so we could drive close to our exterior door. When we entered the room we saw that they had done a lot of work bring the rooms up to very good standards. It was large and clean. Having two sinks is nice. There was a refrigerator, microwave and coffee maker. We noticed a minor housekeeping problem so I went to the front desk. The housekeeping staff was there clocking out. When I explained the problem, one of the ladies immediately came to the room to correct it. A hot breakfast was included and it is a sit down, table service and a small buffet. Some items were better than others, but acceptable. Everyone on staff was very nice and helpful. We do not plan on visiting DeFuniak Springs again, but if I did I would stay there again. I was very pleased!!! Room was clean,spacious,staff was very friendly. 1/2 drive to ocean.The pool was great.Larfe enough to swim laps,very enjoyable.Having a restaurant for breakfast was great.Didn't have to wait for service .We will go back. "Good Stay Pet Friendly and Plenty of Parking!" We had reservations and were pleased with the ample truck and trailer parking as we were returning home with our trailer from wintering in central Florida. We really had a good stay , great breakfast, nice staff, great price, good Wi-Fi reception and ample cable channels in room. Our room was very clean and had all the amenities you would expect.The motel did have a bar restaurant area open in the evening but we did not partake.I did like the concept of only 2 hot choices for the free breakfast, call me old fashioned but I see so many people waste good food because it is included. The choices the morning we were there was sausage,eggs and grits or sausage gravy and biscuits as well as all the other hot/cold items you get at the other Best Western's I think this property is a good property with very good staff; however it is an older motel and we were on the second floor no elevator if that is a problem might want to request bottom floor. It also had a lot of workers, truckers and tradesman rooming there which always causes me concern. No issue today without family as it is just me and my wife but we both worked and know how some people can act after returning from a hard day. They also all hit the free breakfast at about the same time making it difficult for others to get served. There was dirt and trash drug in.that I usually never see in a Best Western, not terrible but noticeable. The other thing I think the owner could do to make it a more family friendly property is to upgrade the pool area as there is plenty of room to add landscaping, hot tub, and features. To me this is a good 1 or 2 night motel for travelers and tourists as it is just off the interstate and close to all the beach areas on the gulf, give it a try. "Can't believe it's rated a 2 star!!??" Hubby and I were weary travelers looking for a place to stay that was also pet friendly. We typically prefer Marriott or hampton and I have not had good luck with Best Westerns myself. We saw that T.A.rating was good though on this property so as tired as we were..we chanced it. Boy were we glad we did. I'm not sure what makes a hotel a 2 star but I think they need to increase it. The property is old and furnishings dated..but it was CLEAN and FUNCTIONAL. The staff was pleasant from housekeeping to desk and management staff. Unusual in that there are doors that open from parking lot and also from corridor inside. We liked this as there is a restaurant AND A lounge! We ate at the restaurant for dinner and again at breakfast and were pleased. Dinner was great..I got fried chicken as did my husband and we both enjoyed a good fresh little salad bar included. Iced tea was fresh in evening and in am. Breakfast came free with room and included,eggs,bacon,grits and toast with juice tea or coffee! (other option for free breakfast was sausage biscuits/gravy I think)We had to wait a while on waitress as she was only one in whole diner(she said when we asked that someone was a no show that day)but remained friendly throughout. Plenty of green space to walk our dog and even though pet friendly..didnt notice dog odor when arrived.We didnt use pool or lounge but had both. Would definitely stay here again under these circumstances! "Beautiful Area but Old Hotel"
We had no reservation but stopped because of bad weather. We were happy to get a room. They have tried to provide the necessary amenities but the hotel is too old and cannot easily be brought up to date. Employees were friendly and helpful even though understaffed. (Perhaps because of weather and no previous reservations). Dinner was nice but had only one waitress and cook. Still we survived. Unfortunately breakfast was a disaster. Every table was filled and only one waitress, cook and bus person. People came in and left without breakfast because of service. Had two double beds, neither which was particularly comfortable but clean. We inquired why they had individual service instead of buffet and employees said owner (David Dye) would not consent to that. The room is set up perfectly for a buffet and we have stayed in many motels and hotels serving breakfast but never on an individual basis. Ok for dinner but not breakfast. There are other hotels in area so we would probably look for another if we stopped again. The area is beautiful. I am a regular guest at Best Western. We are a big fan of Best Western on New Smyrna Beach. The hotel there includes ALL ROOMS being WATERFRONT. Therefore, when we have occasion to be on the road, we stay at Best Western as well. We find that they are FAR BETTER than they use to be, generally speaking. I don't think you will be disappointed. Property is very good. Large enough parking lot in which to park my RV. Very clean rooms. Good Wifi. This was the second stay here and it won't be the last! Great staff, superb, cooked to order breakfast. This place smelled like an ashtray a year ago when I visited and still smells exactly the same. Sheets smelled like they had been washed without detergent. Bathroom towels smelled like an ashtray. The restaurant only offers two food choices for breakfast. 18 Wheelers are parked in the parking lot. If you are East bound, Marianna, FL has superior hotel choices for significantly less money. This place is nasty. This hotel is better than you would expect, our room was comfortable and clean. The facility is kept in very good condition. The breakfast that is included with your stay is better than you get at much higher priced hotels. "it's all here but the wine (and that is darn close)"
We stayed here on our way to Miss. Motel is convenient to I-10, very clean & well-kept. Restaurant in the motel, also lounge. Food was very good, lots of choices. My only complaint was that the refrigerator in our room turned (?) warm instead of cold, and our leftover food was ruined. I think the motel should have compensated us, especially since we're talking $10 here. Didn't. The Chautauqua winery is less than a mile away, so very handy for a visit. Very nice for an older Best Western, everything was really clean.Quiet place for a good nights sleep. Plenty of Truck Parking. Restaurants are a little farther away for my liking, but I guess McDonalds will do in a pinch. On the road from Florida to Nevada with cats and a kid, pulling a trailer, we are looking for convenient, clean, fast, with some basics. This hotel has it all, from exterior entrance to the room, to convenient parking. It is clean, nothing too fancy, but nothing dingy or worn out. The room had the slight smell of dog, but it was a designated pet friendly room, so we didn't mind and had the security of knowing we were in a designated room that would not subject our pets to other travelers. The beds were secure (cats were able to wonder with no issues). The towels were soft, the room had a microwave, refrigerator, free breakfast on site, and washing machines and vending machines. Easy parking for trucks and trailers. It is not trying to be a fancy metropolitan downtown hotel, it gets a 5 star rating for doing a great job as a stop over for travelers. Food: not vegan friendly, but I had no expectations that they could accommodate me, the breakfast staff qwas very kind and fast, the rest of the family enjoyed the food. "Good hotel stay for reasonable price"
Stayed here after a long day of driving. Got in around 8:00 p.m. Check in staff was excellent. Was a little hard to find lobby of hotel because of poor signage. Breakfast was in restaurant. Prefer breakfast bar. Checkout staff was excellent also. Would stay here again on way through. Good bed. All members of the staff at this hotel went out of their way to provide a memorable experience. We arrived late and were greeted by the front desk clerk who seemed genuinely glad to see us. She smiled warmly and gave excellent directions to our room. The next morning our breakfast was more than the usual make your own waffle, cold cereal, fruit or yogurt. It was honest to goodness sit down, waitress service. We were happy to tip her well. We enjoyed fresh coffee with refills brought to the table as we waited for the morning offering. The waitress even noticed I was not feeling well. She offered hot tea, honey & lemon to soothe my throat. Housekeeping also surprised us with their friendly greeting as we left our room to go to breakfast. Each of 3 staffers greeted us as if they were genuinely happy we were staying with them. Hotel Management has found the formula of success for bringing a team of hotel professionals together on a mission to make our stay memorable. Well done, DeFuniak Springs, FL! "always a fan of Best Western"
Room was very clean. Access to room was very convenient with door to outside and door to hallway. It was nice to have a lounge and ordered food as well. The breakfast was hot, quickly served instead of make your own style. I drive a big rig - there is very nice, easy paved parking! Room was nice, clean and had access both outside and to the inner corridor. Front desk staff were great and quick. They have a restraint but it was closing when I arrived. Breakfast is a sit down with several hot choices - neither I really cared for and the server was really, really slow - otherwise a great experience and I will be back for sure! Remember to get there early, if you check in after 9 p.m. all they have is full size bed rooms available and no handicapped rooms were available. Always call ahead to the hotels, don't call the national number. "Defuniac Springs, Florida Best Western"
We travel a lot and this is my favorite Best Western. It isn't fancy, but it is clean and cheerful and smells nice. It feels like staying with a favorite relative. I have stayed in a lot fancier Best Westerns, but none compare to the homey atmosphere and I feel safe there. Thank you for the nice response, here at the Crossroads Inn we try to always put our guest first. Very affordable and clean room. The bed was very comfortable and I slept great. The bath tub was a deep one and my wife and I both enjoyed it. Hot breakfast served to you at your table. Only problem I had was I got cold durning the night and there was no extra blanket in the room. I'm sure I could have went and got one, but didn't want to look for one at midnight. I'll stay there again and would recommend it. Thank you for staying with us. We want all our guests to feel like they are at home when visiting us. "Best Western Crossroads Inn offers friendly service and good value"
My wife and I stay at the Best Western Crossroads Inn at Defuniak Springs, Florida several times each year. 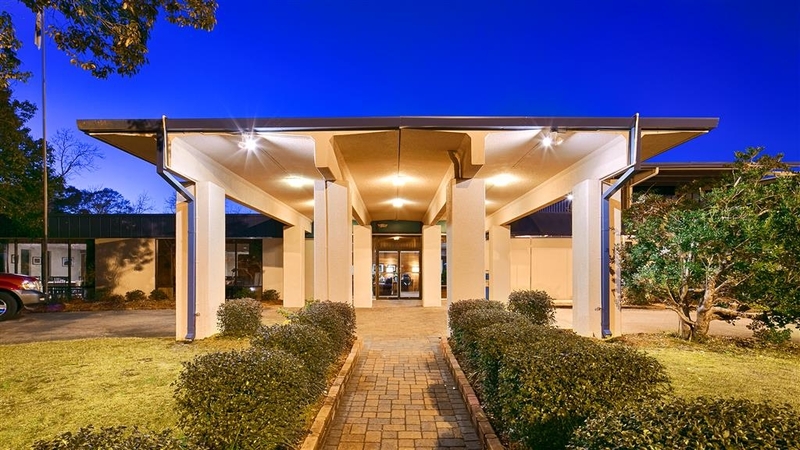 It is in a great location in Interstate 10 between Louisiana and central Florida. They welcome pets, they are in a reasonably quiet location, close to gas stations and some restaurants, and they combine friendly service with a down-home free breakfast. Excellent place to stay for both business and pleasure. We have stayed here 3 times now, and will only stay in Best Western Hotels in our future. Excellent caring staff, good food, comfortable room .. and the A/C and heater works great! Would not recommend this hotel to others or stay here again even if on our route. Check in was fine but office/lobby staff smoked right outside the main entrance with doors open. The lobby/restaurant entry area smelled heavily of smoke even though no smoking signs were posted throughout. In bath, the heat lamp did not work even though a switch was provided. As well, only a half roll of toilet tissue was present. The breakfast was provided in the restaurant. 2 choices to order from menu, take it or leave it. No self serve juice. The juice fountain had a sign saying only the waitress could touch it. The "fresh" fruit was well beyond its best before date. At the restaurant entry area we were told to "tip the waitress". I suppose they felt they needed to tell you this as the product offered was of problematic quality. The amount paid here was the highest of our travels. "Picked the best place in town"
Pretty little town with small motels due to presence of state prison with many weekend visitors. Heard of a few places price gouging, not honoring reservation prices, and dirty linens. I opted for a name place to stay and I am thrilled with my choice. The full breakfast is included with the room. 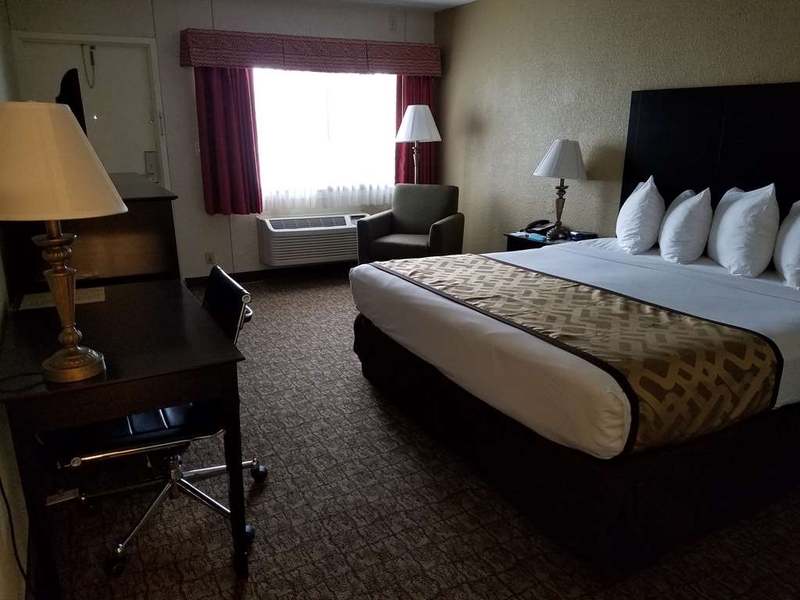 Large room was clean with free wifi, tv, ironing board,, mattress I want in my house, clean bathroom, coffee/tea station, microwave, and mini fridge. DINNER on the premises from soup and salad bar to prime rib perfectly cooked. Lounge bar I did not visit but the Inn center looks like a lodge with newspapers and leather seating. The staff is friendly and helpful. I will definitely return. We are two adults. Senior discount. After a grueling 13 hr drive from Houston, my husband and I were exhausted and almost certain we weren't going to find a decent, affordable place to stop and rest with our little dog. I read a review of this Best Western hotel, a "Hidden Gem," and of course, what we read is always in the perspective of someone else's eyes. That can be disastrous. In this case, the "Hidden Gem" I'm referring to was coined by another reviewer. My husband and I can definitely concur. The whole staff was extraordinarily pleasant, beginning with the warm greeting by Stephanie at the front desk and every employee throughout our stay. It is definitely not a newer hotel, but has been kept up very nicely. There have been modest renovations to the rooms, and the beds & pillows were clean and comfortable. One of the unique features of this hotel is, you park in front of your room like the usual older hotels with an outside door, but at the back of the room another door opens to the common hallway leading to the rest of the hotel. There's no need to go outside at all to get to any other part of the hotel. This is very convenient. The resteraunt is just that. A resteraunt. Not a small prepared buffet, but staffed with a table clothed setting and a made to order, seat yourself kind. There is a also quaint, basic stocked lounge with a warm friendly feeling and retro decor, and a small but inviting, lodge like lobby. You can tell this hotel is very special and loved by its staff. I also believe it's not only the staff or occasional traveler that has fallen in love with this property, but the local folk have also come to admire this treasure they've discovered. It's as if the hotel has hung on to the history of a true Best Western that travelers of old remember and hold dear. The days of waking up to a calm and warm feeling but with the unhurried anticipation of travel. As much as I'd love to say ours was a unique experience, that's already been said in other reviews. But I will say, ours was an emotional one. Thank you Best Western at Crossroads, we hope your sincereness and charm can endure the ever changing times of progress. This is your typical out-of-the-way Best Western. We've stayed here about twice a year for the past ten years and find it's the best option along this stretch of I-10. Fully renovated several years ago and all the rooms are nicely updated. Near the interstate but very quiet. Rooms are very clean and the beds are comfortable. Best rate is generally through the discount booklets available at most rest stops. Only shortcoming is the breakfast. It's okay, just basic, usually fried or scrambled eggs, toast or biscuit, and sausage or bacon. Get the bacon--the sausage is inedible. Other than that, a very nice stop on our regular trip. "Our First night in Florida"
The place was very easy to find,,and with a Huge U-Haul towing our car it's hard to get places,,,but yours was very nice,,easy to park,,,I loved having the Restaurant there at night,,,my wife went and got us both dinner,,,excellent burger and fries,,,yum,,, However it just didn't work for Breakfast,,,I miss the breakfast bar like the other Best Westerns had,,,could you do both? Room were clean, staff was friendly, meals were good and hot. Staff was good with directions to local events. Location was near the town I wanted to be near. Rooms were quiet and easily accessible from interior doors and exterior doors. "Great value and nice staff." "Better than many plus BWs"
This hotel really stands out in customer service and in quality breakfasts. It is a cut above many other hotels. Even though the hotel is older, it has been nicely remodeled and is well worth the stay. Breakfasts made to order and outstanding customer service at the front desk and in the restaurant make this hotel a refreshing change from the mediocre. Thank you for the nice review... We at the Crossroads Inn like to put our customers first. I stayed here with a relative in late October. We stayed in room 139 which is at the end of the hall. It had a super small bathroom. There was not much light in the main room. It was a clean room with comfy beds. The breakfast was hot and very good. We had the following selections: scrambled eggs, grits, toast, bacon or sausage, fruit, yogurt, cereal, coffee or fruit juice. I was happy that the waitress could bring me milk without any fuss. The waitress was friendly and served us well. In the room there was a microwave, fridge and separate sink area from the main bathroom. I would stay here again and recommend it. I think I would like to be closer to the front office area next time. Thank you for the kind review, here at the Crossroads we try to always put our guest first. We changed the night of our reservation at the last minute and all it took was one phone call with no problem. When we arrived at the hotel, the front desk clerk had our room all ready and was very helpful. I used the lobby computer after dinner and I heard her helping other guests and she did a great job. I would be happy to stay there again in the future. Our guest is our first priority, to make our guest welcome and comfortable. This hotel was one of the worst places I have ever stayed in by far. The staff at the front check in refused to offer me the rate of the room online; I had to call the main # to reserve the room. The room itself had DRUGS...yes a partially smoked joint of marijuana left on the lamp post. I took a picture of it and brought it to the staff at the front desk. The response I got was "Oh I'm sorry" SERIOUSLY...Then to top it all off, the next morning when I was just waking up, the staff used the master key and unlocked my door without knocking and opened it. Luckily I had the chain latched on the inside to prevent him from opening it. He said "the people staying in here checked out already" Nope I believe I am still here. THE WORST PLACE EVER. GO SOMEWHERE ELSE. Thank you for responding with a review, We at the Crossroads are very sorry that you had problems with your room. I have spoken with night Auditor and he should have moved you to another room right away. Stayed here as a stop over on a long drive. Clean, well kept grounds. Bathroom area had two sinks; which was nice. Comfortable bed. "Country" cooked to order breakfast provided but took some time to get as there was only one person working the floor. Liked the fact that you could park right outside your ground floor room. There was also an entrance to an interior hall. We stayed with our pet. Thank you for the nice review, Our breakfast is something a lot of our guest look forward to each morning. Good down home cooking. "Had Everything We Needed & More"
This place was perfect for us! We were exhausted when we arrived and were pleasantly surprised that there was a nice little restaurant on site. It was also very "civilized" to start our day being served breakfast by the waitress. The grounds were nice for a dog walk, the pool was big and clean with nice furniture on the pool deck with easy parking, There was an extra sink & vanity outside of the full bath. The room was clean, beds & pillows were comfortable and everything worked. The employees were alert, friendly and helpful. Not much to do in the area but we were there to be with family, not sightseeing. Thanks for the nice review. We pride ourselves on our clean rooms, good meals in restaurant and we welcome the family pet with large area for walking. The hotel was not up to standards. Musky and damp. Front desk lady super friendly and great customer service. Rooms are nasty, old and need to be renovated. I'm almost platinum with best western and this was a let down. "Old Motel but Quiet and Clean"
The staff was friendly. I felt like the price was too high for an older place. The grounds were extremely nice.I was unable to sleep due to Interstate traffic,but I don't sleep well in motels anyway.Breakfast was OK. Grits and toast was good,but I didn't like the eggs. We needed a short term hotel to stay at and enjoyed this one! Great location and clean room. The staff were amazing, very friendly made for a pleasant atmosphere. For sure, I will come back to stay at this hotel when passing through Florida next time.. Rooms smelled damp,clothes left out overnight were damp next morning.Walls needed cleaning or repainting.Food served at breakfast was cold,very little choice.Bar needs cleaning and updating.Receptionist smoked just outside main enterance,smell was in reception area.Overall very disappointed.Would not recommend or stay again. We needed a place to stay en route, and we ended up in DuFuniak Springs, FL. We usually enjoy Best Western's, so we stopped there. This hotel was nothing special, but nice enough. The price started at $99, then with AAA down to $90, but we had a coupon (from a travel magazine/book we picked up at the Information Center) and got it for $80 -- which seemed like too much. The room had two doors -- one to the outside, where our car was parked right outside the room. And the other door in the back my by the bathroom that lead into the interior hallway. Weird. Never seen that before. The room was large and clean, but the bathroom smelled of urine -- from a pet? or from male "drips"? The hotel had a restaurant, with waitress service for breakfast (included). They also served dinner, which we didn't use. It is a huge property and many trucks stop here for the night. Across the freeway were two newer hotels, which in hindsight we should have looked at before staying at the BW. One was an Econolodge and the other was a Super 8, I think. "Charge to credit card was different than the amount I was told when I checked in." When checking in here it would be best to pay cash up front. The charge to my credit card was different than what I was told at the front desk when I checked in. Place was clean and breakfast was good. I would not stay here again due to the additional charge..
Getting out of Florida takes forever. We picked DeFuniak Springs because it sounded interesting and was well past Tallahassee. It's a charming little town with good places to eat. The Best Western Crossroads was a great location just off I-10. It is pet friendly with a huge property. The first floor rooms have corridor doors and parking lot doors and the parking lot is well lighted. The room was clean and comfortable and did not smell of animals or smoke. The corridor did have the smell of smoke residue. This was the best spot to stop in the Panhandle, and we will stay again. The rooms are fresh and new feeling, and exceed expectations. Clean and comfortable. Unfortunately there is no elevator to the second floor. Be sure to ask for ground floor if you are handicapped or semi ambulatory. 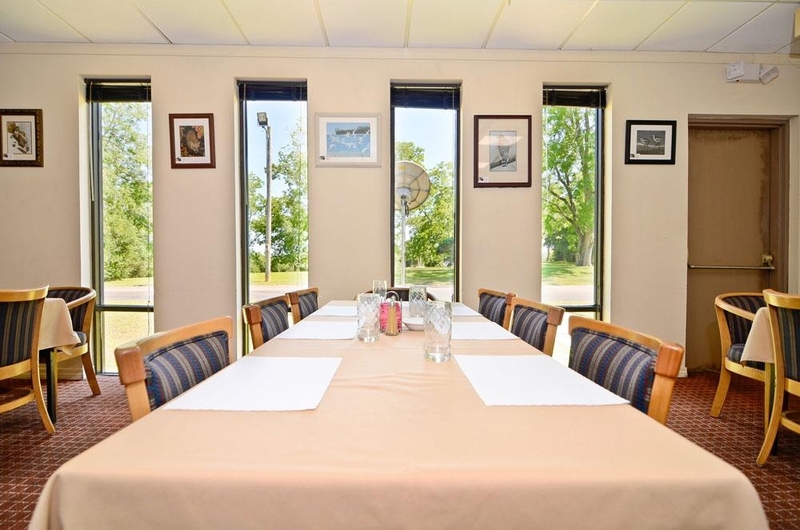 The restaurant offers a delicious breakfast as well as a continental breakfast. They offer a lunch buffet that is delicious with many selections including a salad bar and dessert. Dinner menu is good, but there are few offerings. Everything was prepared in a southern style, home cooked way! The coffee is excellent! The staff is friendly and helpful. There is a lounge after 5 P.M., but it is in need of renovation and modernization. The barkeep is friendly and delightful. It is a good place to unwind with friendly conversation. The grounds are nicely off the main thoroughfares, and easy to access fuel stations and fast food restaurants. This is a pet friendly hotel, and there are plenty of places to walk your pets and take a stroll. It has a nice pool area, and provides tables. Very clean. RV's have plenty of room for parking. Located just off the main highway and interstate, it is very accessible. A good stay at a very fare price. I found this hotel very accommodating, clean friendly staff, a nice change for breakfast where they actually take your order giving you a choice of two breakfasts and they serve you rather than the food line type of free breakfast. "I'm not sure what you are looking for here." 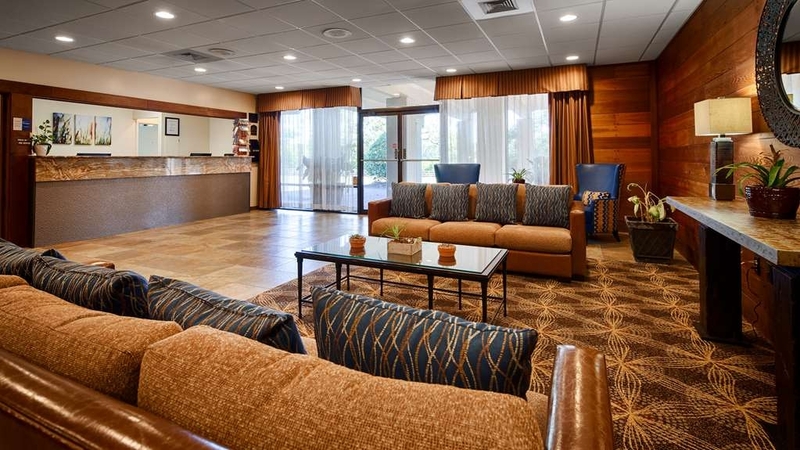 Every time we feel the need to just get away, we head for the beach and always stop at Best Western at DeFuniak Springs. It is the most calm and peaceful motel we have ever stayed at. The small southern town has lots of history and several good restaurants, but we always eat breakfast at the Best Western. The ladies in the dining room are very attentive and friendly. I would like to see the grits coked a little longer, but otherwise everything was good. We always enjoy taking a piece of fruit for later on the road.